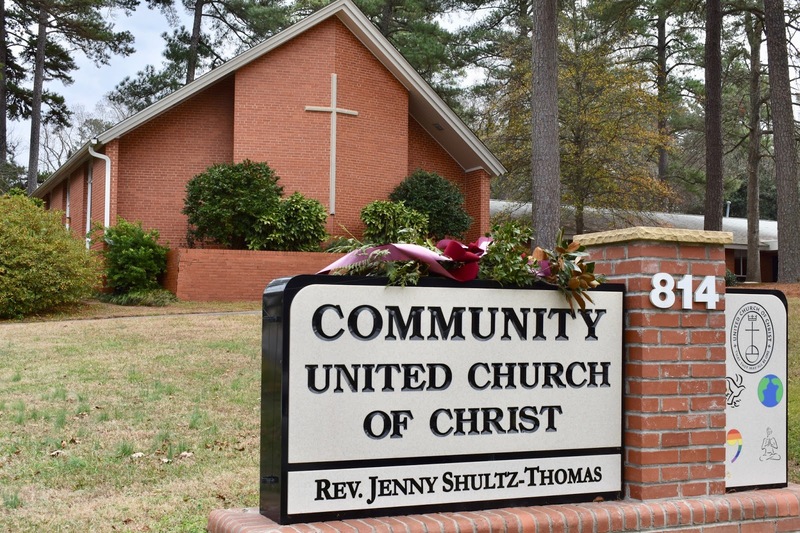 You’ll find worship services and community meetings in the main building. 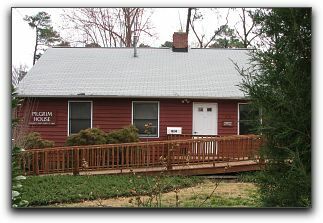 The church office, youth room, and small meetings of CUCC groups are next door on Dixie Trail at Pilgrim House. Our building sits at the corner of Wade Avenue and Dixie Trail which are both lined with sidewalks. Wheelchair access is easiest from the Dixie Trail side. Lock your bike on the garden fence on the Dixie Trail side parking lot. Bus route Rex Hospital (4) stops up the hill from the church on Dixie Trail. Both the Wade Avenue and Dixie Trail parking lots have handicap accessible parking spaces and level access to the main building. 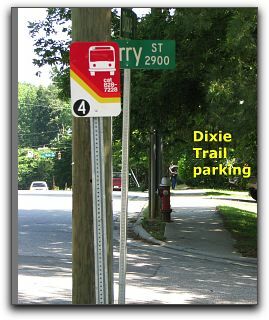 We recommend that people who will be leaving by going west (toward the beltline) park on the Dixie Trail side for a safe and easy exit. There is on-street parking on Dixie Trail on the church's side of the street (don't park in the bike lane). 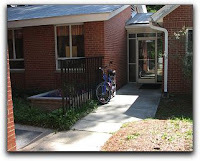 On Sundays, Morningside of Raleigh (across Dixie Trail) welcomes us to park on the row along their tree-line; please save spots near the building for the visitors to Morningside’s residents. For most events, 10 minutes early will give you plenty of time. For 10:30 family-friendly, traditional worship, arriving 15 minutes early will give you time to locate your children’s Sunday School classrooms and allow them to meet Mrs. Anne Bailey. Adults will be able to become familiar with the order of worship and to ask questions so you feel comfortable.